On the recommendation of an adventurous friend, last Saturday night I attended my first supper club here in Singapore. 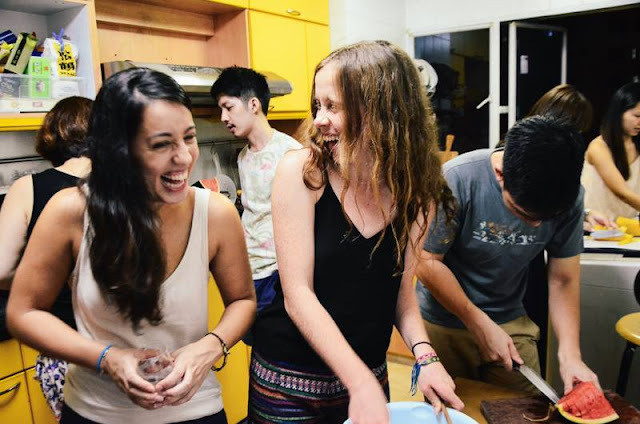 Dinner at 335 describes itself as a bimonthly dinner series that gathers people to cook together and eat together. 335 refers to the address of the HDB apartment block where the event takes place in a rustic and community atmosphere. Upon arriving at the apartment, we were greeted by our host, Norman, handed a first dessert of vanilla-scented sago, and introduced to our fellow cooking and dining companions for the evening. For some liquid courage, we were also given a choice of two stellar drinks - tequila or vodka based concoctions. 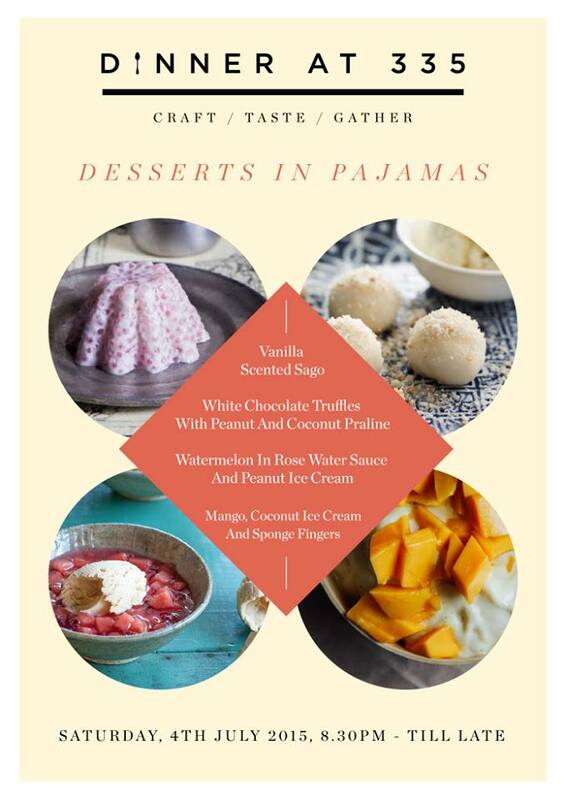 The guest chef of the evening was Gillian Hatch, who led us through a series of Asian-inspired dessert recipes: glutinous rice balls (tang yuan) with a white chocolate filling, watermelon in rose-water sauce with peanut ice-cream and a mango coconut "tiramisu". It's amazing what some alcohol and sharing a kitchen can do to break the ice. While most of the other attendees were more artistic/creative types, everyone there had a love for food and a shared passion for trying new experiences. For me, it was less about the food itself, but more about the conversations while working towards a common goal in the kitchen. One of the girls had literally just arrived in the country earlier that evening, in the middle of an extended holiday through South East Asia, and had been brought along to the event by her couch-surfing host. And one of the guys who was there is part of the team curating the musical acts at the Esplanade theatre. The dessert night marked the 19th event in Singapore, and Norman encouraged us to take the idea and consider hosting a similar event in our own homes. Dinner at 335 currently also has roots in Tokyo, as Hitomi, Norman's former room-mate and co-organiser, brought the concept with her on her move from Singapore to Japan. For anyone who is looking for a unique night out, keep a look out for upcoming dinners on Dinner at 335's Facebook page (or host your own! ).